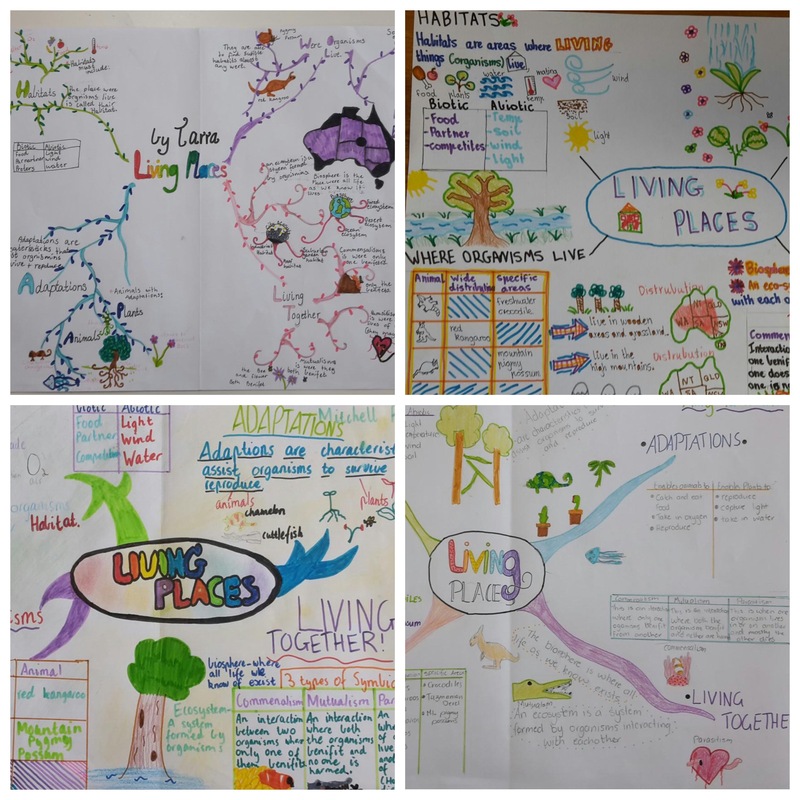 Sketchnotes in Schools: I use sketchnotes to help students and teachers to visualise SCIENCE. I also use sketchnotes to help break-down complex scientific concepts to help make the complex simple and the simple compelling with scientists and researchers. 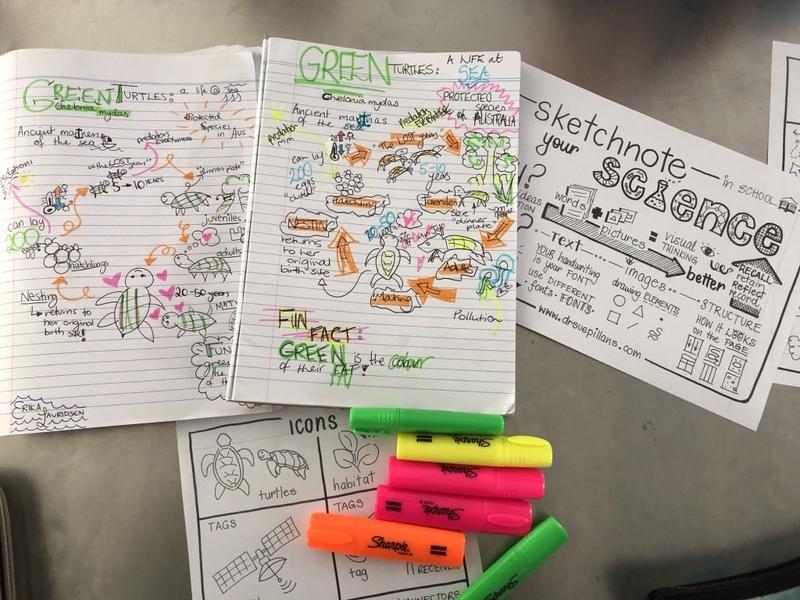 Sketchnotes are visual notes created from a mixture of hand-drawn words and pictures which can include visual elements of typography, shapes and lines. Drawing is thinking so this technique helps to make learning and science visual. 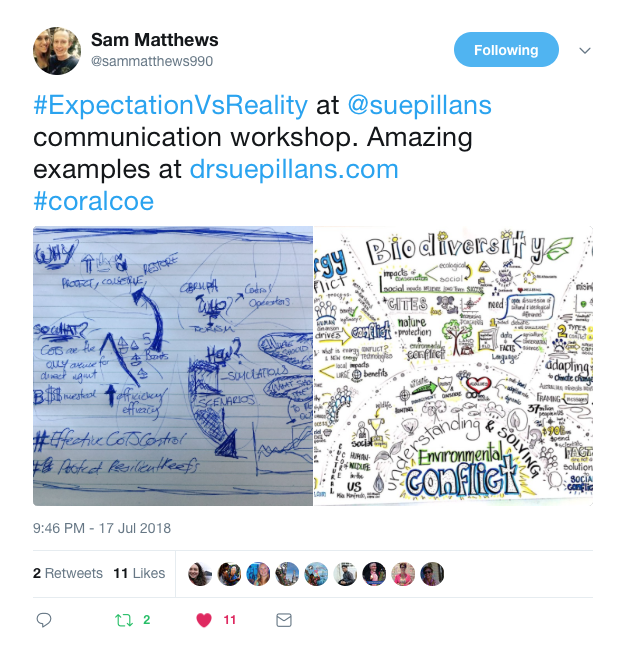 Because…“When you draw you remember more!” The time-lapse below shows me graphically recording the 2018 Creativity Summit, hosted by Griffith University (https://plhub.griffith.edu.au/resources), which illustrates the power of visual thinking and how creative education in classrooms can help students to think in colour! Sketchnotes for groups: as sketchnotes are a great way to start learning about the art of visual thinking I also hold in-house workshops for groups, teams and organisations to learn about the art of sketchnoting based on the interactive visits outlined below. My workshops are tailored to your specific visual needs and interests and no drawing experience is necessary. Please Contact me if you would like further information on how I can help you, your team or organisation to “Picture your ideas“. 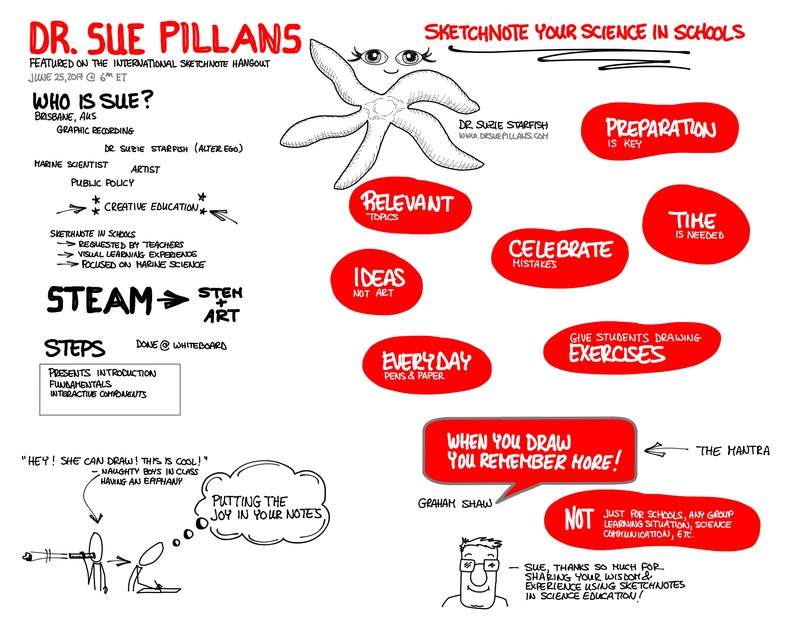 A FIN-tastic sketchnote by the very talented Rob Dimeo of my “Sketchnote your Science in Schools” talk which was part of the International Sketchnote Hangout (#29) I hosted Downunder! 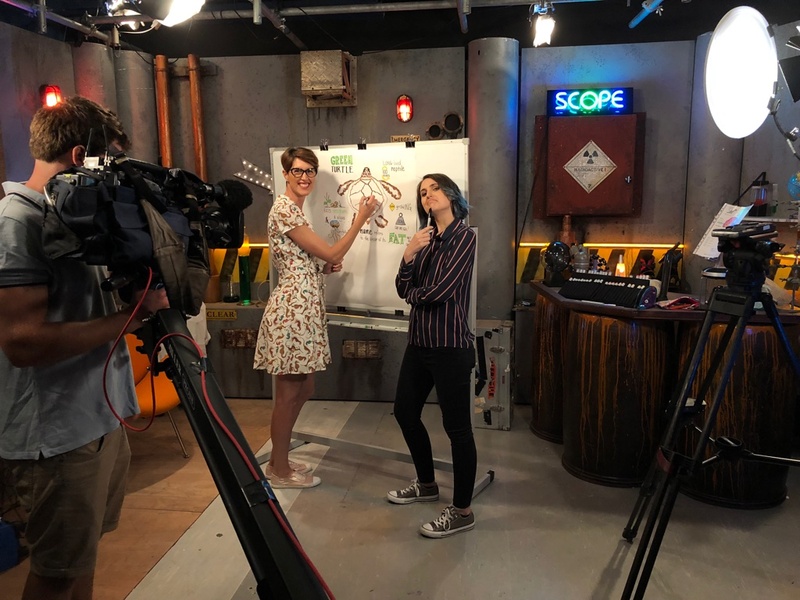 And to ‘sea’ how biology and art make a great team check out the episode of Scope TV (Australian children’s science education program) I filmed with Scopes FUN-tastic host Lee Constable showing – when you draw you remember more! Watch the episode here at: http://tenplay.com.au/channel-eleven/scope and via the video below of me drawing out the art and science of our oceans, literally! 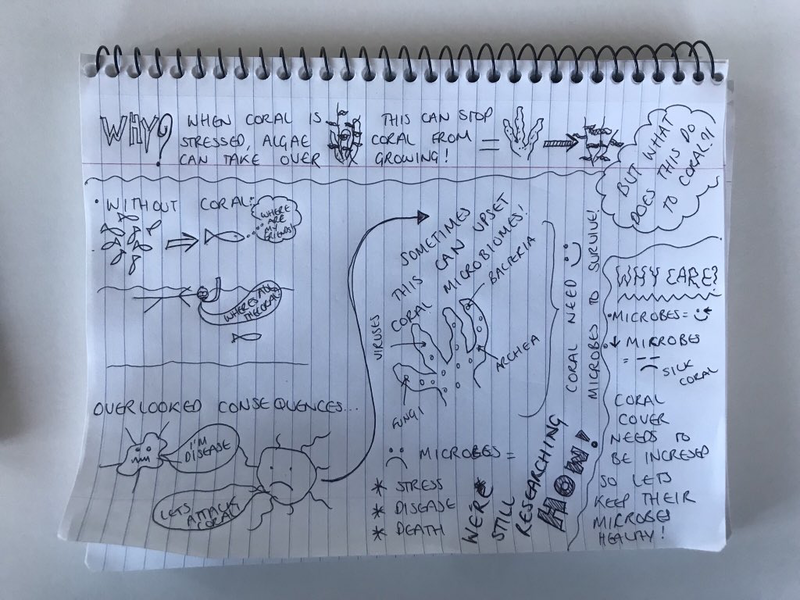 Below are some examples of how I use my Sketchnote your Science (in School and University) with students, teachers and researchers from across Australia and their FEEDBACK!! Can’t wait for you to ‘sea’ what science we will be sketchnoting next!! I loved teaching the Year 8 and 9 Science students (and their amazing teacher Mr Bush!) 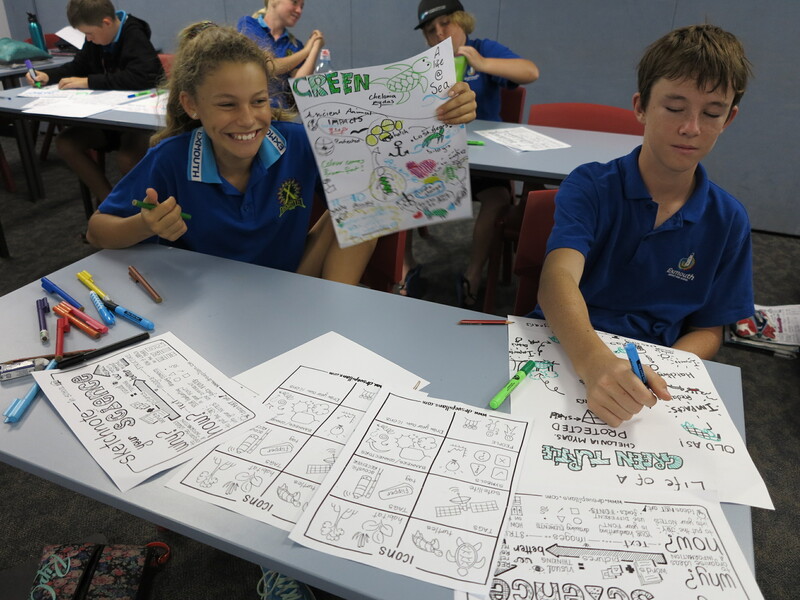 at Exmouth DHS how to Sketchnote your Science using the life cycle of the Green Turtle (Chelonia mydas) as our in-class example we drew-out together! 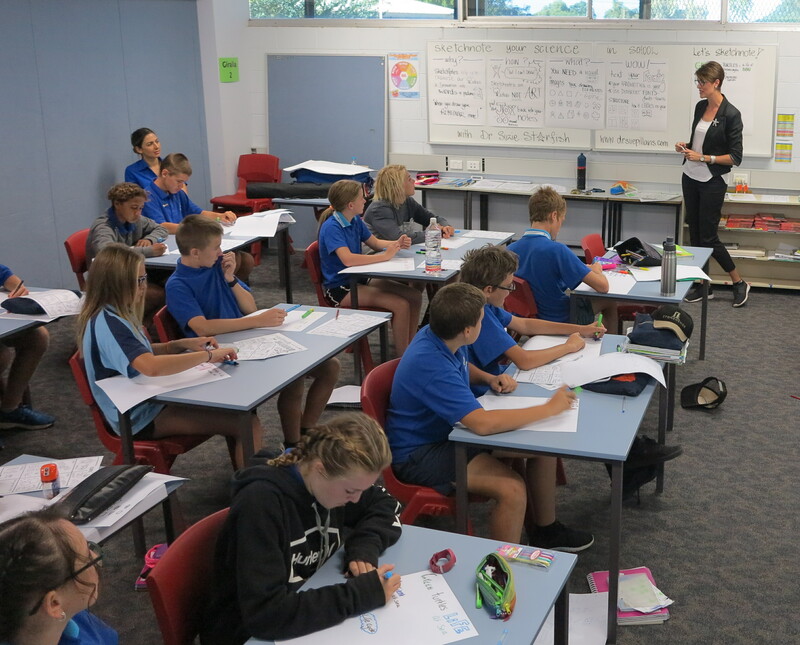 It was great visiting the Year 7 and Year 10 classes of Tully State High School in sunny and stunning Far North Queensland! 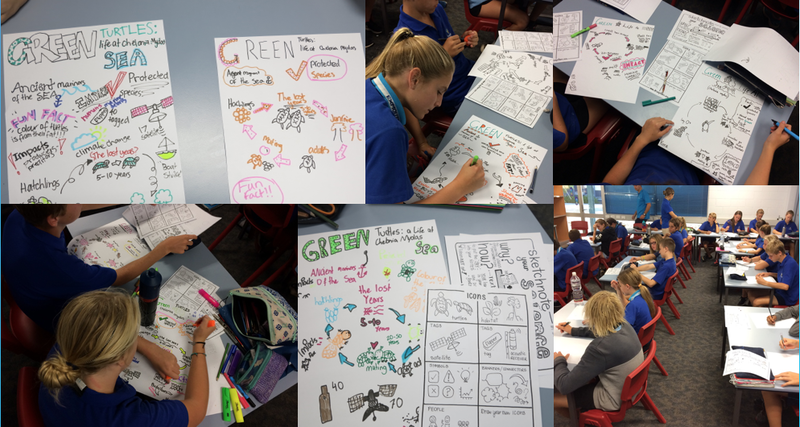 We learnt the stages of sketchnoting your science and drew out the life cycle of a green turtle which is common in the tropical waters of Queensland. 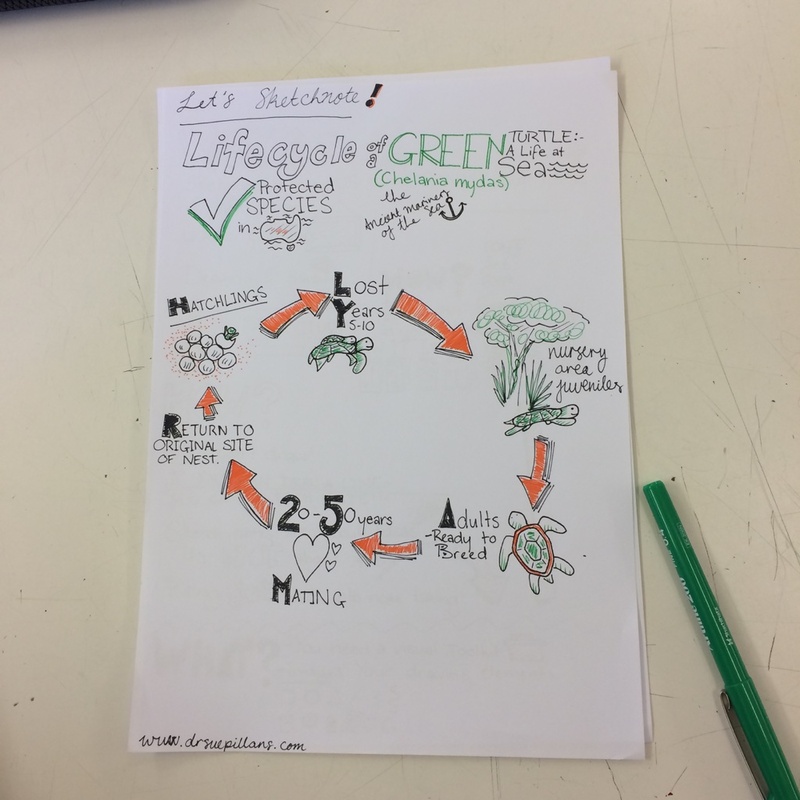 We then discussed the interactions between these protected species and humans and other potential threats using the life cycle sketchnote to help guide our discussions. So many smiles for sketchnoting! 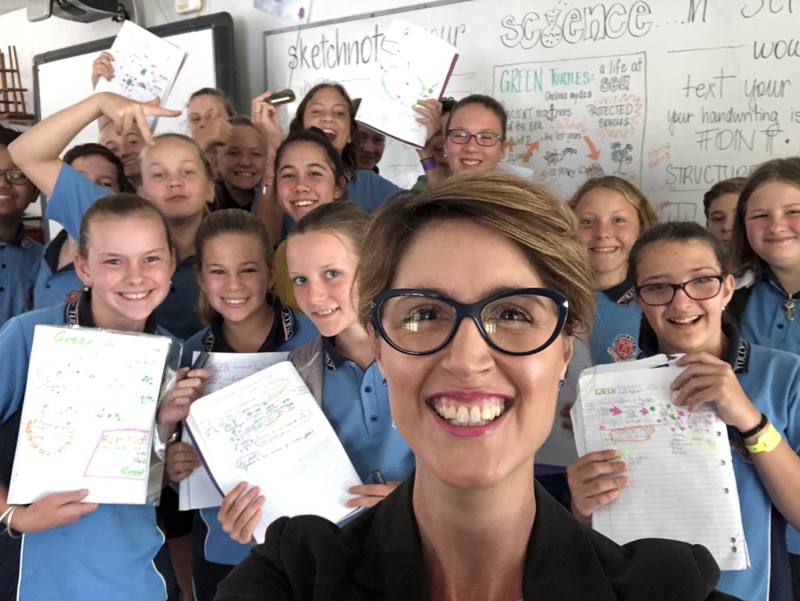 What a great time I had at Barker College during National Science Week teaching the Years 9, 10 and 11 Science and Visual Arts students how to Sketchnote your Science! 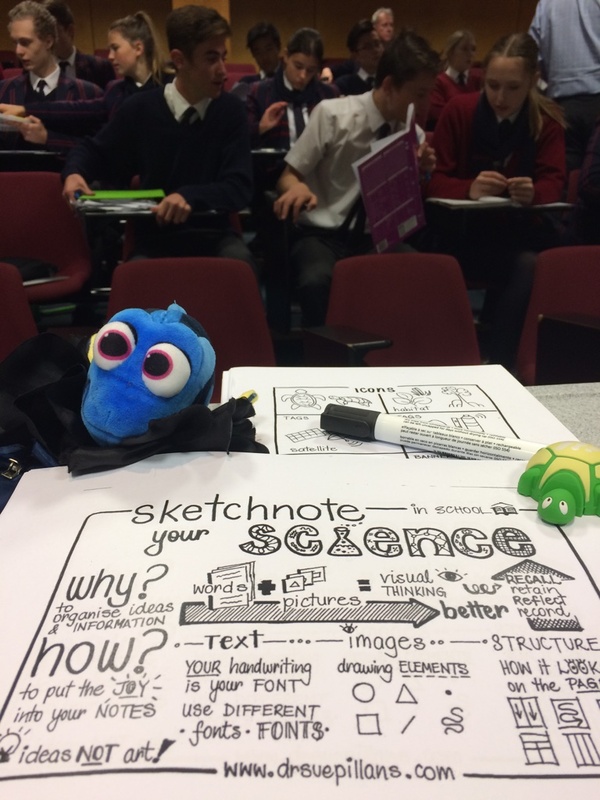 Schools using ‘Sketchnote your Science’! 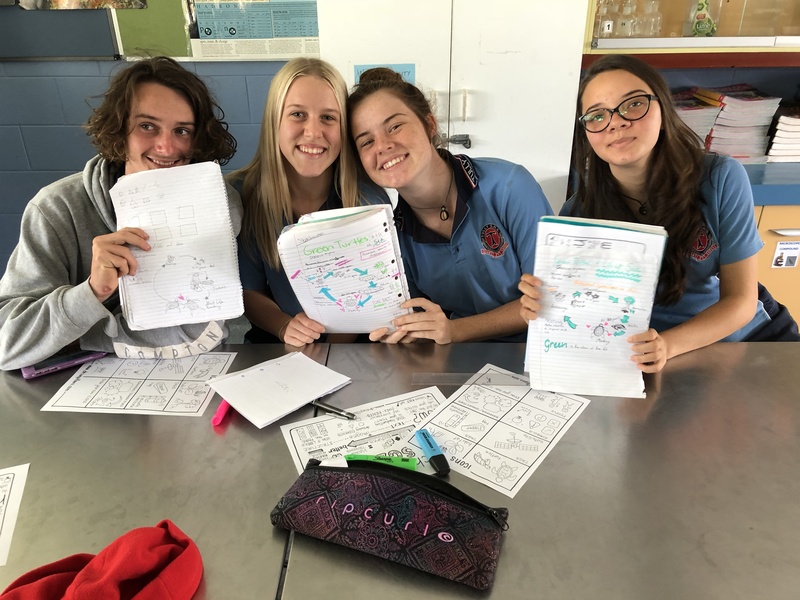 I’m thrilled that teachers are starting to trial and use this visual learning technique in their own classrooms after my school visits! 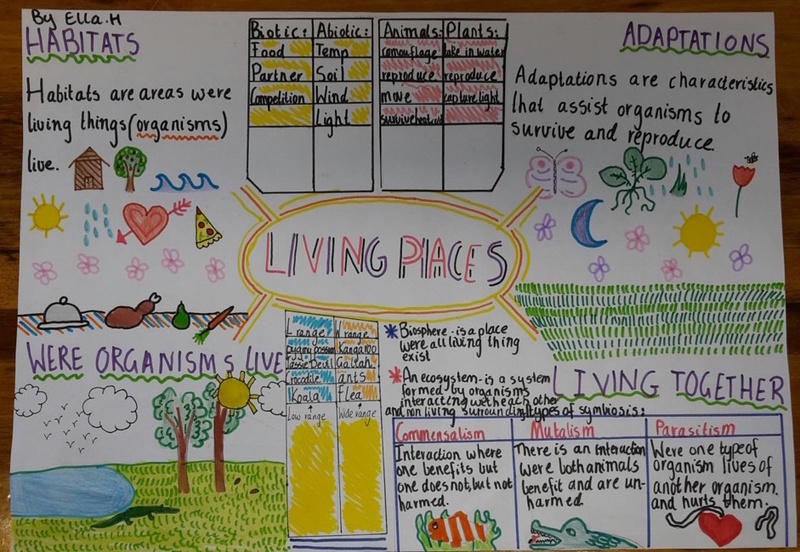 Here are some examples of the amazing work from Year 7 Science students in Western Australia who used sketchnotes to adapt eight pages of science text about the ‘Habitats and Adaptations of Living Things‘. I also offer in-house workshops for any groups or organisations wanting to learn more about visual learning and communications. 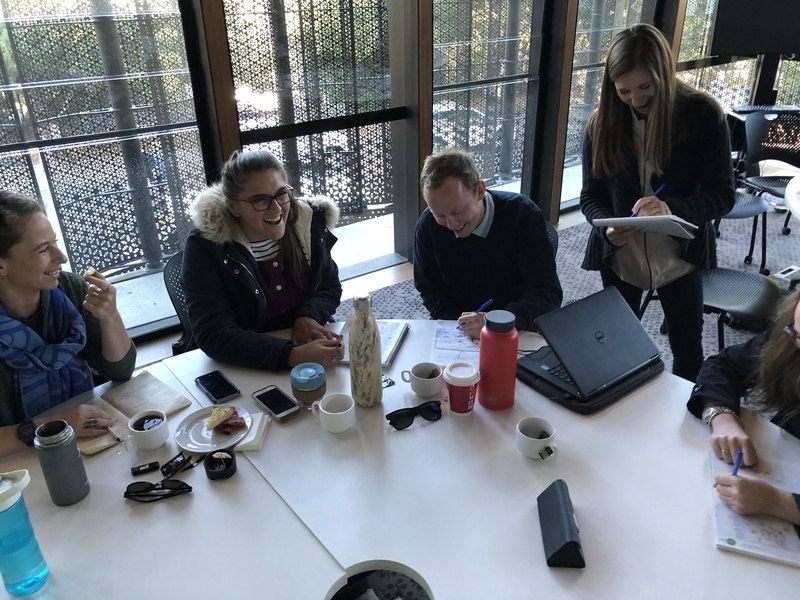 This program of visual learning can also be used in any group learning situation (even in break out sessions at Conferences) and does not have to focus on science, but any topic, for any age group, in any office or conference location! You can see more about my Workshops. 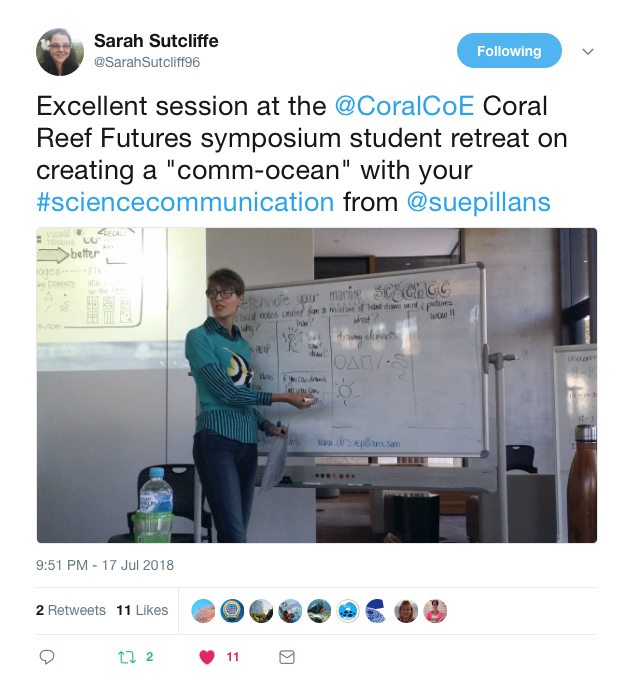 I had a great time holding my first Science Communications workshop for reef scientists and postgraduates of the Centre of Excellence for Coral Reef Studies. 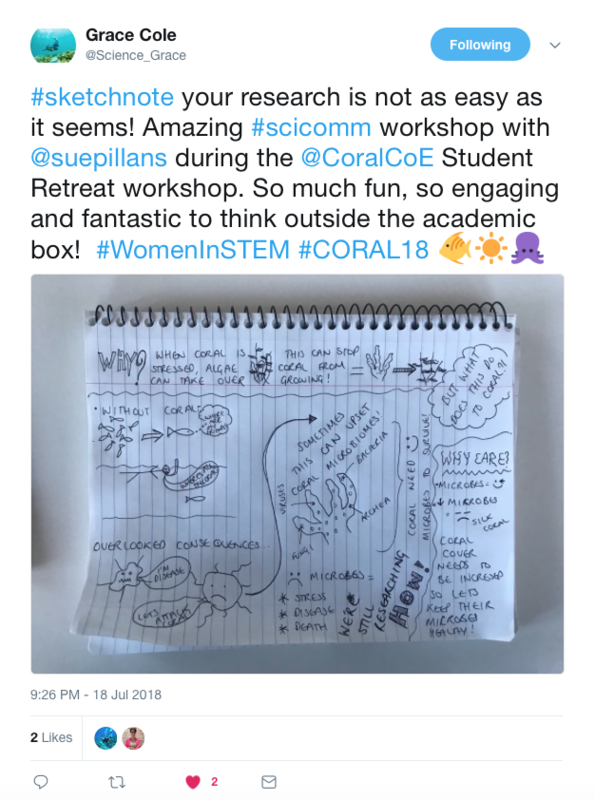 My workshop focused on the art and science of marine storytelling so these inspiring reef scientists could share their reef science with a broad audience (ie. other than the scientist and academic peers). 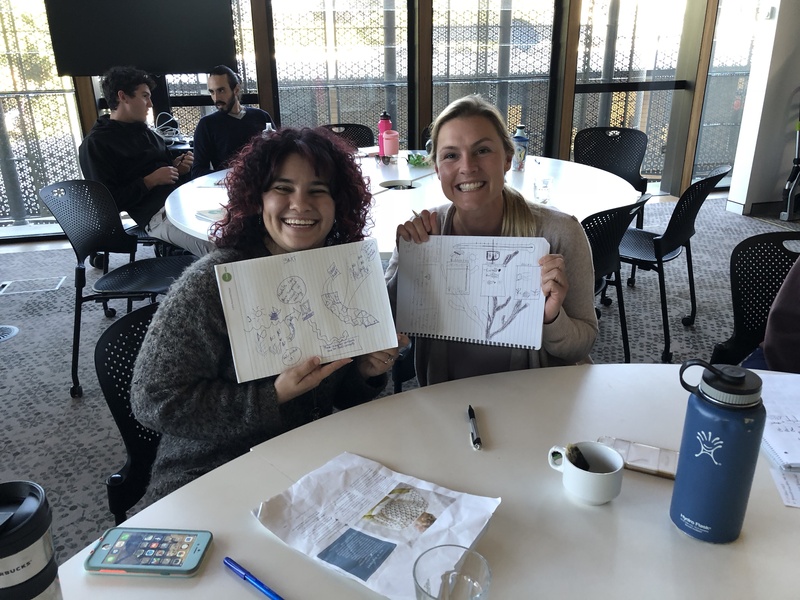 I also introduced the group to my world of visual storytelling and as you can ‘sea’ from the photos below some great sketchnotes were created to help synthesize, structure and share these important marine science stories. 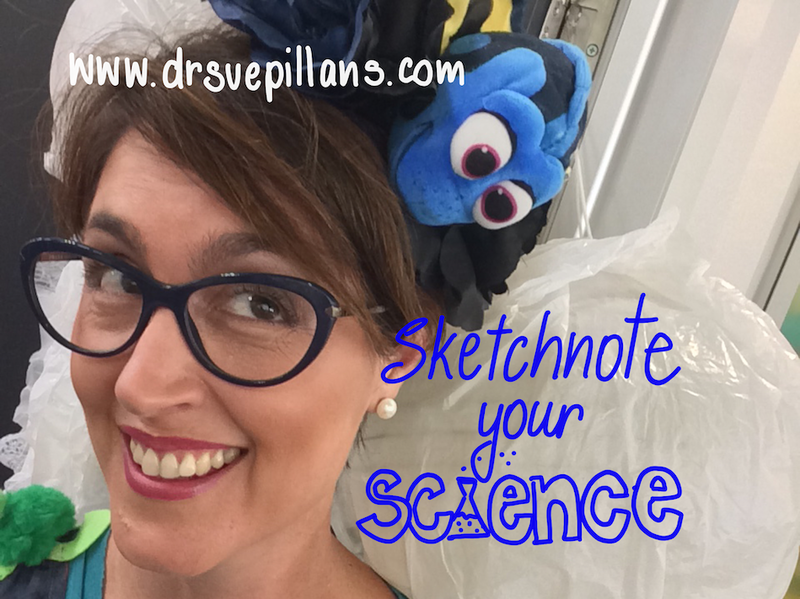 Visual storytelling and sketchnoting your marine science is engaging and FUN!! 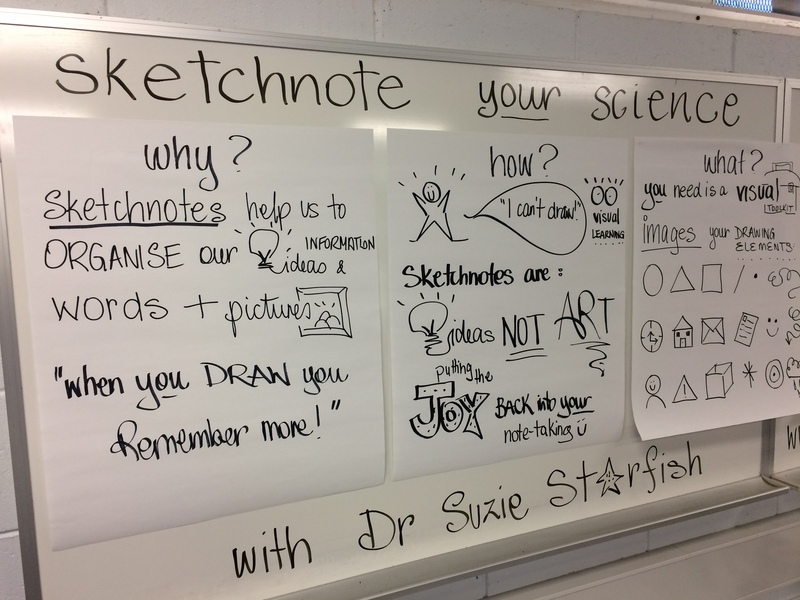 Online: I was honoured to host an International Sketchnote Hangout (#29) online to talk to the global sketchnote community and educators about my experiences and journey to “Sketchnote your Science in Schools“, which you can see more at Sketchnote Hangouts. Sketchnoting is also a great and fun way of engaging people in a social situation, like my “Drink and Draw” social meet-ups. I believe anyone can draw and if you draw you remember more! 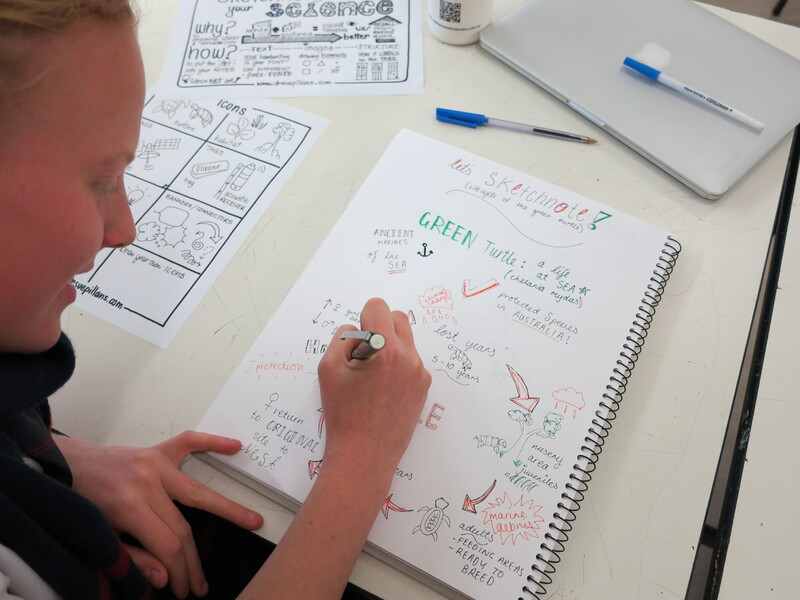 You can find out more about my visual storytelling and visual learning approaches via my in-house Workshops‎. for further information on how I can help you to visualise your ideas.